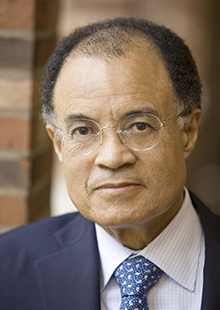 Drew S. Days III is the Alfred M. Rankin Professor Emeritus of Law at Yale Law School. He joined the faculty in 1981. At Yale, his teaching and writing have been in the fields of civil procedure, federal jurisdiction, Supreme Court practice, antidiscrimination law, comparative constitutional law (Canada and the United States), and international human rights. Drew S. Days, III, has been the Alfred M. Rankin Professor of Law since 1991. He joined the faculty in 1981. At Yale, his teaching and writing have been in the fields of civil procedure, federal jurisdiction, Supreme Court practice, antidiscrimination law, comparative constitutional law (Canada and the United States), and international human rights. From 1988 to 1993, he was also the founding director of the Orville H. Schell Jr. Center for International Human Rights at Yale Law School. He is a 1963 honors graduate in English Literature of Hamilton College in Clinton, New York. He received his LL.B degree from Yale University in 1966. After practicing briefly with a labor firm in Chicago, he entered the Peace Corps, serving as a volunteer in Honduras from 1967-1969. After the Peace Corps he joined the staff of NAACP Legal Defense Fund in New York City, litigating cases in the areas of school desegregation, police misconduct, and employment discrimination until 1977. In 1973, Professor Days took a two-year leave from the Legal Defense Fund to teach at the Temple University School of Law. From 1977 to the end of 1980, Professor Days served as the Assistant Attorney General for Civil Rights in the Carter Administration. In that capacity, he was responsible for enforcement nationwide of federal civil and criminal civil rights laws. From 1993-1996, Professor Days served as the Solicitor General of the United States, the Government’s lawyer before the United States Supreme Court, in the Clinton Administration. Professor Days is the author of two volumes on United States Supreme Court jurisprudence, practice, and rules: Moore's Federal Practice, Third Edition, and most recently, of "'Feedback Loop': The Civil Rights Act of 1964 and Its Progeny", 49 St. Louis U.L.J. 981 (2005). "Feedback Loop"; The Civil Rights Act of 1964 and Its Progeny, 49 Saint Louis Law Journal 981 (2005).